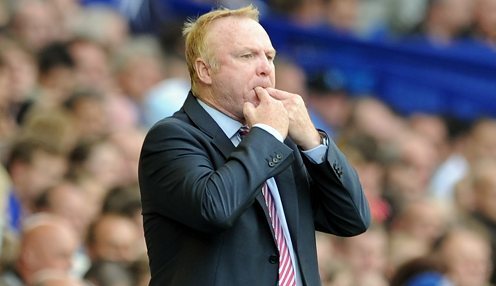 Alex McLeish is looking for his Scotland players to bounce back from the Belgium defeat and pick up a win against Albania on Monday. The Tartan Army got their Nations League campaign off to a disappointing start on Friday night when the Red Devils thrashed them 4-0 to inflict a worst home defeat on them in 45 years. There's nothing like a motivated individual going into a huge game. It's been a difficult start to his second spell in charge of the national team for McLeish, who has lost four of his five matches at the helm since replacing Gordon Strachan, while they have scored just one goal. But Scotland have an opportunity to get some points on the board in Nations League Group C1 when they host Albania at Hampden Park on Monday night. And McLeish, who is set to make some changes but should have striker Leigh Griffiths fit despite him being forced off against Belgium, wants a reaction. He said on BBC Radio Scotland: "There's nothing like a motivated individual going into a huge game. "He did want to stay on and said to give him 15 minutes but I said to leave it as he seemed in a wee bit of distress before half-time." Scotland are 4/6 to win on Monday, while Albania are priced at 11/2 and the draw is 13/5.